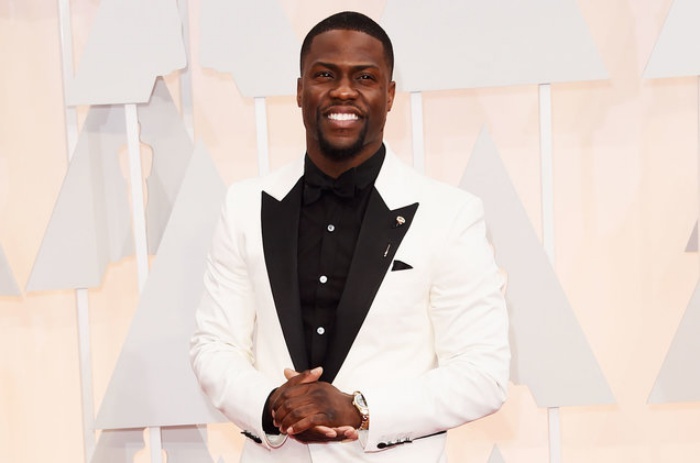 Comedian and Hollywood star Kevin Hart has been confirmed to host world’s ultimate movie awards, the Academy Awards ceremony for the first time. Earlier on Tuesday, The Hollywood Reporter reported that the Academy of Motion Picture Arts and Sciences has held talks with the comedian about hosting the February ceremony. “I appreciate @TheAcademy for the opportunity,” wrote Hart in his post. The last two Oscar shows were hosted by Jimmy Kimmel and produced by Michael De Luca and Jennifer Todd. But each year ratings declined, with a record-low 26.5 million viewers tuning in for last March’s broadcast, which adds to the pressure the new team will face in mounting the kudocast. The Academy, which has promised that the show won’t run over three hours, has already announced one change — not all the awards in the 24 Oscar categories will be revealed live. Instead, six to eight categories will be announced before the audience at the Dolby Theatre in Hollywood during commercial breaks, and edited excerpts from the acceptances will be aired later in the broadcast. In August, the Academy’s board also recommended the creation of a new award, a so-called “popular” Oscar, that it said would recognize “outstanding achievement in popular film,” ensuring that some of the biggest box office successes of the year have a prominent place at the awards. But that idea met with so much resistance that the Academy shelved it a month later. Hart previously hosted the MTV Movie Awards along with his Central Intelligence co-star Dwayne Johnson. He has publicly spoken about wanting to host the Oscars since at least 2015, when he told the morning show Live With Kelly and Michael (now Live With Kelly and Ryan) that he was actively campaigning to get the role. “That would be a major accomplishment. With what I’ve done and the progress I’ve made in my career, that’s definitely the next major step, I feel, for a comedian,” Hart said to the hosts at the time. The Oscars will air live on Sunday, February, 24,2019 on ABC.